Make the most of your drum practice time. Progress faster by understanding the keys to practicing drums. As a drum teacher and accomplished drummer, I’ve learned the best methods to learn drums. While simply playing drums has benefits, you’ll improve faster if you have a specific objective when you practice. An objective could be to learn a new drum beat or master ten independence exercises. Private drum lessons are a great way to know which objectives to pursue. For some drummers this is obvious. When learning a new drum part or technique, it’s usually helpful to begin working on it at a slow speed. This helps you understand the rhythms and coordination. When you’re comfortable at the slow tempo, try a slightly faster speed. Work at that new speed until comfortable. Continue the speed increases until you reach the desired speed. I see this mistake often. Students come to their lesson unable to execute part of their assignment. I see them struggle to play it and realize the problem is they’re trying to play it faster than they are capable. I ask them to try playing it slower, and they immediately can. Then it’s just a matter of gradually increasing speed. Let’s say you’re working on drum parts for a song. You can play most of the parts no problem, but measure 25 is a difficult rhythm you can’t play. When you reach measure 25 you falter and stop playing. So you go back to the beginning of the song and try again. When you reach measure 25 again, you still can’t play it. Why? Because you stop playing every time you get to it. You haven’t played it even once! Instead, you’ve been spending your practice time playing 24 measures that you can already play! You’ve gotten no benefit from your practice time. Each time you return to the beginning and play until the problem spot, you’re wasting time practicing the parts you can already play. Instead, you should work on measure 25 alone, until you get it. Imagine how much progress you could make on the problem measure by playing it 24 or 48 times! Once you’ve learned the difficult measure, practice it in context. In this example, play measure 24-26 a few times, since sometimes difficulty comes in the transition from one part to the next. Ideally, we should practice daily. Routine exposure to the mental and physical challenges of playing drums improves the mental and physical faculties a drummer needs to play drums. While it’s normal to miss a day of practice now and then, if a drummer misses more days than they practice, progress will be greatly impeded. When used properly, this is a secret trick to learning new coordinations or patterns. As drummers, we are training our bodies to do things that don’t come naturally. Moving our 4 limbs independently is a challenge for our brains. It’s amazing how difficult it can be. When practicing drums, sometimes you find yourself struggling to learn a difficult drum part. You’ve been trying and trying, and you just can’t get it. You may have even made a little progress, but now it seems to be getting worse. If you’ve put in at least 10 minutes of focused effort, it’s time for a short break. Take a minute or two and just play something that’s fun for you. Get your mind off the task at hand. Then return to practicing the difficult thing. You may find that suddenly you are able to play it with ease. By taking the break, your brain is able to sort it out for you. The key is: you have to put in the focused practice time trying hard to learn it. Without that initial work, this trick will not work. Repeat as needed. But only after putting in 5-10 more minutes of focused practice. You have to learn to recognize your take-a-break point. For example, if you’re getting frustrated, you’re probably not benefiting from your efforts. Take a break. As a former drum student and a current drum teacher, I know the effectiveness of taking drum lessons. You get individual attention, personal guidance, and immediate feedback. I teach drum lessons in Sheboygan, Wisconsin. Contact me with questions about drum lessons or drumming in general. This entry was posted in Drum Lessons on June 26, 2015 by Sheboygan Drums. My brother wanted to learn how to play drums and join the school band. It was mentioned here that he should have an objective and don’t waste his time in practicing the easy parts. 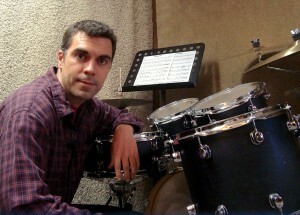 Furthermore, it’s recommended to hire professionals for quality drum lessons. It’s good to consider a private drum teacher. They know what new drummers need to begin playing drums. They can also guide experienced drummers as they progress as a drummer. Drummers with a private drum teacher excel in school band. The practice tips you referenced apply to all drummers. They are ways to maximize drum practice time. Thanks for your comment!